To learn more about the services offered and schedule online, click here. ​Please note: Prices do not include sales tax. 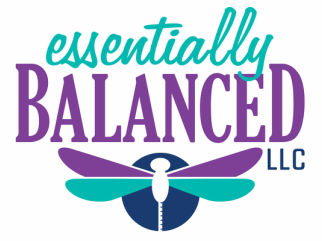 Essentially Balanced is a gratuity free business. Club Members are clients that have made a commitment to wellness and believe that good self-care includes regular massage. Whether it's to ensure your own commitment to reducing chronic pain, or motivate your self-care for a monthly relaxing massage, this Club is one you will be happy to join! Your fee is a savings that repays you in wellness. Your fee is automatically deducted from your credit card every month giving you one credit to use that month, or roll over for two months. Or you can share that month's credit with a friend or family member. Monthly appointments are scheduled out in advance (with flexibility and reminders!) to ensure you have priority. You can schedule one additional session that month at a reduced Membership Club rate. Any additional services are 10% off, and you enjoy a double discount for your birthday! Plus, you will receive special offers and wellness gifts throughout the year. There is no commitment, the Membership agreement is month-to-month (just give a two weeks notice if you need to leave the Club), and if you need to pause your Membership, you can! If you like, you can review the Membership Agreement here.